With this edition of the pre-coverage, I didn't have time to head out to the area to take photos plus it was much easier to get to and from downtown via mass transit; this area...not as easy. Again, my information may not be accurate, so call ahead for verification and details. Figure One. 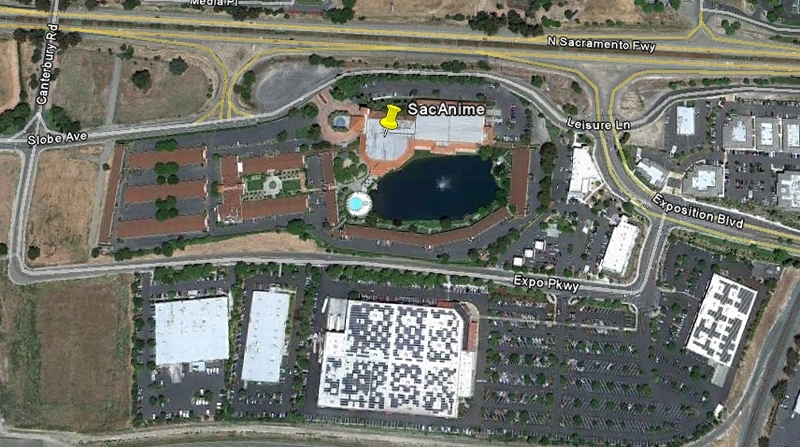 SacAnime at the Radisson and its surroundings. My recommendation for this convention is Costco, directly south of the Radisson. You might be asking yourself "Don't I need a membership card to enter?" That's true, but at this Costco you can buy food outside and bring it back to the Radisson. In 2009, I ordered a large pizza and a bunch of Chicken Bakes for about $20-25 and it fed the hotel room that I stayed in. There is also a Tacos Del Mar, Extreme Pizza, Subway, and a Starbucks east of the Radisson near the gas station for Costco customers. Figure Two. Arden Fair Mall and surrounding areas. If you decide to head out to get something to eat, there are a plethora of options east surrounding Arden Fair Mall. Fast Food: 360 Gourmet World Grill, Carl's Jr., Hibachi-san, Hot Dog on a Stick, Panda Express, Ruby Thai Kitchen, Sbarro, and Steak Escape. There is another Subway under construction, so it might be there. Restaurants: BJ's Restaurant and Brewery, Fresh Choice, and Johnny Rockets. Starbucks, next to Johnny Rockets. Across the way from the mall is Market Square at Arden Fair, which houses a number of eateries including Dos Coyotes, California Pizza Kitchen, and Pluto's. 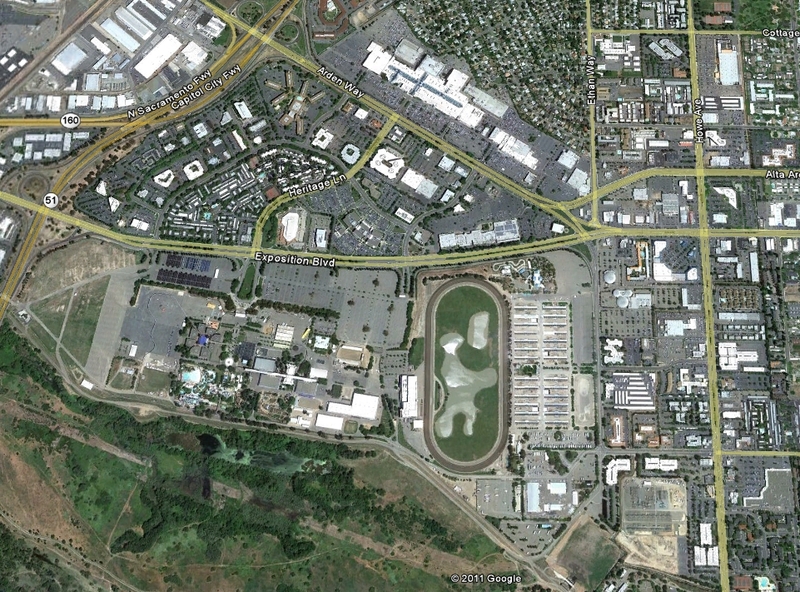 Near the east end of the complex near Best Buy and Toys R Us is a Burger King and a Cheesecake Factory. South of Arden Fair Mall are more restaurants: Elephant Bar, El Torito, Olive Garden, Hooters, Coco's Bakery, and Luau Garden. Fast Food: McDonalds, Del Taco, Arby's, Taco Bell, Chick-fil-A, Chipotle, Jamba Juice, and another Starbucks. Restaurants: Macaroni Grill, Mimi's Cafe, IHOP, Applebee's, Chili's, Round Table Pizza, Arigato Sushi (a place known to SacAnime regulars), Red Lobster, Outback Steakhouse, Dennys, Buca di Peppo, and Chevy's. There used to be a T.G.I. Friday's, but has closed. I hope this guide helps just as much as the Kintoki-Con guide. See you all in week!